One team starts as defending team with 1 defened in each square. Other two teams make it 4v1. 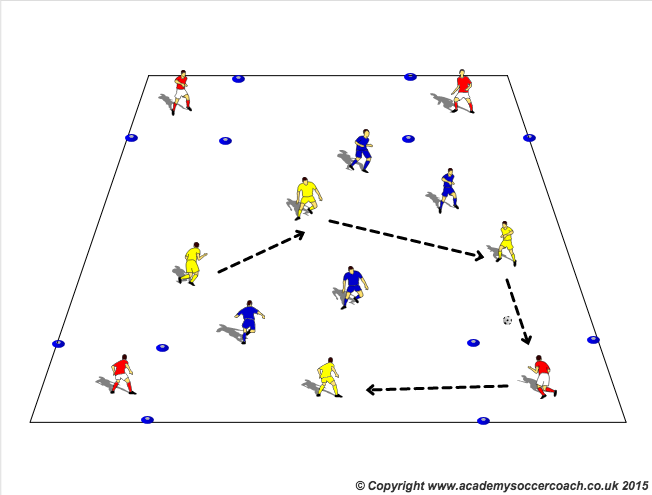 Aim is to make 3-5 passes then open up and play forward to other team who repeats. Change defenders every 90 seconds to keep game moving quick. When defending team win ball back 5 times they swap out with one of the teams.